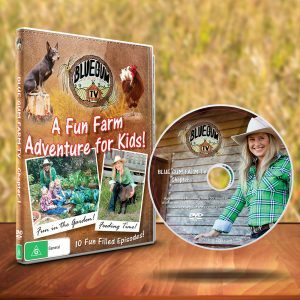 Blue Gum Farm TV is a fun, real life TV program for pre-school aged children. With cute farm animals, beautiful children’s songs and vibrant music, this TV series is irresistible to young children! 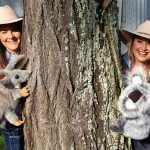 Filmed on Cilla’s family farm in Queensland, Blue Gum Farm TV is a show for children aged 6 months to 6 years that follows the fascinating adventures of life in the Australian Outback. From milking the cow or collecting fresh eggs to harvesting the vegetables, this program is full of farm activities that children will love! Your children will learn how fresh fruit and vegetables are grown as they join in the gardening activities and help tend the plants in the Blue Gum Farm TV garden. Each episode also features easy children’s recipes, so you can join in at home. So, for engaging pre-school children’s activities, Blue Gum farm TV is a must-see! 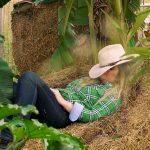 Join Cilla and take part in the adventures of life on a Queensland Farm, through Fun Songs, Interactions with Interesting Animals and Fascinating Machines, and Cooking Recipes using Fresh Food grown in Cilla’s garden. 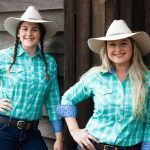 Spread out over two DVDs, Blue Gum Farm TV contains 20 delightful episodes, which are filmed on a real life, working farm! Blue Gum Farm TV live in concert at a venue in your town?! Featuring beautiful songs, quirky characters and all the fun of the farm, this interactive show will have everyone singing and dancing along! Sing-a-long to all of the fun, unique and informative songs on Blue Gum Farm TV! Story Time – Freckles the Clever Chook! Looking for natural, organic healthy recipes you can make for your kids? Wanting new material for bedtime stories? Read all of the Blue Gum Farm Adventures, which are designed to help you to connect with your kids, using material directly from the show! Blue Gum Farm TV Adventures delivered straight to your inbox.